This is not the first time a celebrity has passed his or her legal fees onto an insurance company. President Bill Clinton, MLB star Roger Clemens and O.J. Simpson have all used their homeowners’ insurance policies in the past to pay for legal fees when defending themselves from defamation lawsuits. At the moment, AIG is required to cover Cosby’s costs, even though a sexual misconduct clause in the policy may eventually provide them with a way to recoup their losses. 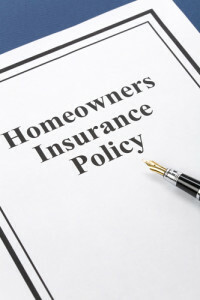 Home insurance companies also provide personal injury clauses and umbrella policies designed to protect policyholders from a wide range of circumstances that include being sued for property liability and defamation. These provisions are not solely for the elite and wealthy. Over seven million Americans unknowingly possess policies that include these provisions. Most are completely unaware of the coverage that they have until they have the need to enact one of the personal injury clauses. If defamation is covered under your homeowners’ insurance policy, you may be covered in other ways. Knowing how these provisions work can come in handy if you are ever sued after someone suffers an injury on your property, but can also help you in the event that you are the victim. Many of the people who are injured on another person’s property are reluctant to file a lawsuit because they know the property owner and do not wish to cause strain on their relationships over financial matters. Knowing that the insurance company is liable for legal costs and any judgement can reassure victims when they know that the damages they recover will be paid by the insurance company rather than their close friend or relative. Cosby’s insurance policies may cover him for up to $1 million in legal fees per home in addition to $35 million of coverage included in an extra liability policy. This has allowed him to obtain the highest quality legal counsel that money can buy without hurting his pockets. Since the women suing Cosby cannot sue him for his actual deeds due to statute of limitations laws, their lawsuits are solely on the grounds of defamation. Their claim is that their reputations have been damaged when Cosby chose to allege that their claims were fraudulent. AIG is attempting to dodge liability for Cosby’s legal expenses on the grounds that sexual misconduct negates his conduct, but the courts are currently standing against him. In a November ruling in California, Judge O’Connell stated that the policy was worded in an ambiguous manner and the law should therefore favor the policyholder. AIG is currently appealing the ruling. It is quite possible that if Bill Cosby were to lose these defamation lawsuits that he could still hold his insurance company liable for picking up the tab. While this highlights a very severe flaw in the system and may allow Cosby to escape responsibility in the event that the allegations against him are found true, it may also inspire millions of homeowners to review their policies to determine just how far their coverage goes.